Irish political parties have refused to rule out attending free training offered by Facebook to help them boost their profile. This follows the tech giant’s defence of allowing abusive videos such as children being assaulted to remain on its platform, stating that its users could help bring them to safety. Facebook has offered training on a number of occasions to politicians and their advisers. Previously it was revealed that company has also offered in-depth advice and guidance to ministers and their advisers. This included an analysis of how voters interact with their posts and content uploaded to the website. The company offered training to candidates, politicians and their staff ahead of the 2016 General Election; Fine Gael and Labour took up the offer, while Fianna Fáil said it did not. Last night, no major party would rule out attending further training if the offer was forthcoming. Fine Gael and Labour indicated it would consider training on a case-by-case basis, while Fianna Fáil and Sinn Féin did not respond to queries. The Taoiseach’s office did not respond when asked whether ministers would continue with training or whether Mr Varadkar would seek a meeting with Facebook management over this week’s revelations. Meanwhile, Fine Gael, Fianna Fáil and Sinn Féin all declined to say how much they had spent on paid promotions on Facebook in 2017 and so far this year. Labour estimated it had spent around €15,000. A spokesman for Fine Gael referred to its overall digital spend declared in line with the Standards in Public Office guidelines but this does not include a breakdown on where the money is spent. Mr Varadkar this week said Ireland must look at introducing substantial fines for tech companies which did not uphold decency standards. However, leading cyber psychologist Dr Mary Aiken went a step further in response to concerns over the company’s moderation policies. “If Facebook will not co-operate … then this Government should consider asking it to leave Ireland,” she told RTÉ Radio One. Fianna Fáil also called for the Government to act on regulating social media companies. 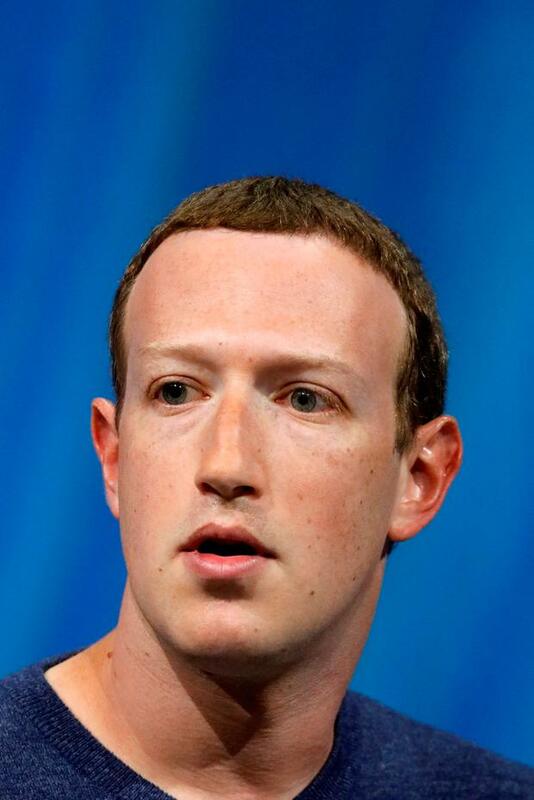 Meanwhile, Facebook boss Mark Zuckerberg has defended the rights of Holocaust deniers to stay on his social network – because he believes they can be genuinely mistaken. Mr Zuckerberg found the belief that the Holocaust did not happen was deeply offensive. But he said people using his site to promote such views should be allowed to use it and the posts should stay up. He claimed that since the people were mistaken in their belief, rather than intending to harm anyone, they would continue to be allowed to post on the site.